Important questions in biology are usually raised long time ago. Answering them, however, has to await the development of appropriate techniques. 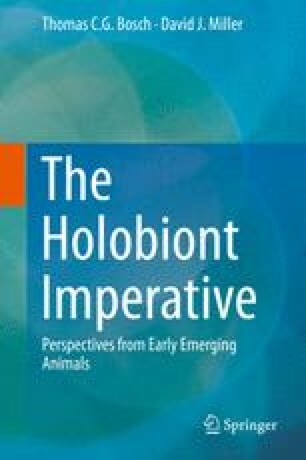 Due to the emergence and rapid technological advances in culture-independent techniques to identify and characterize microbes, particularly genomic approaches, we learned that organisms from Hydra to man are to be considered holobionts stably associated with bacteria, mainly strict anaerobes, but also including viruses, archaea, fungi, and protists.